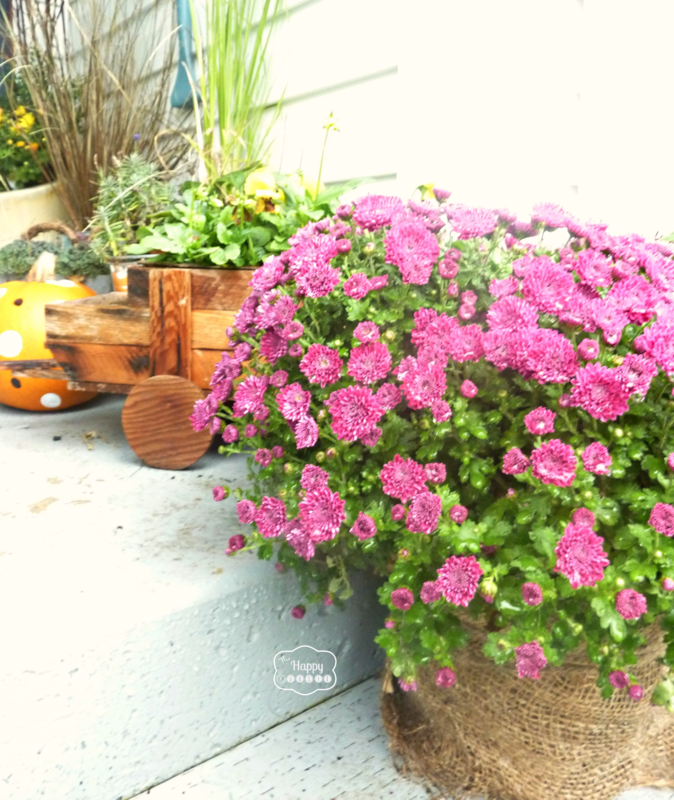 Nothing says fall like mums, chalkboards, and polka dotted pumpkins. 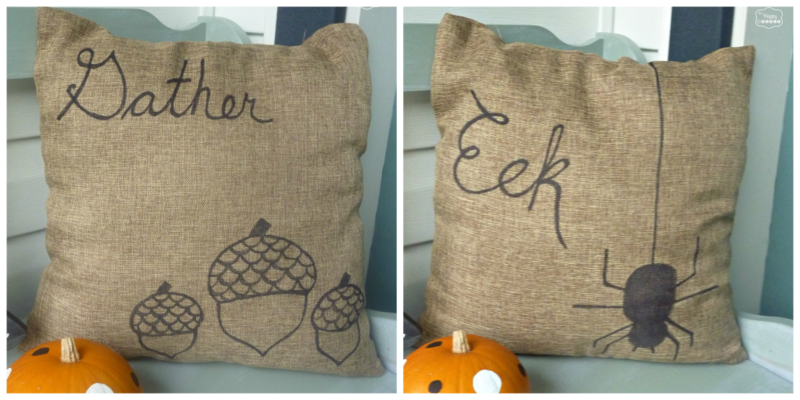 Oh, and DIY sharpie pillows. Ya. Them too. Or at least that’s what I always say. 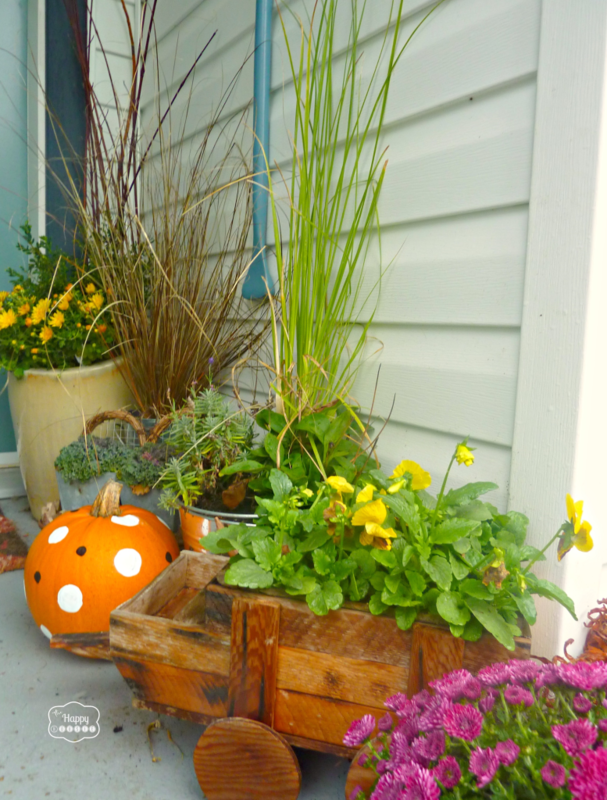 And I think the front porch is the perfect spot to display all these fall-ish friends. 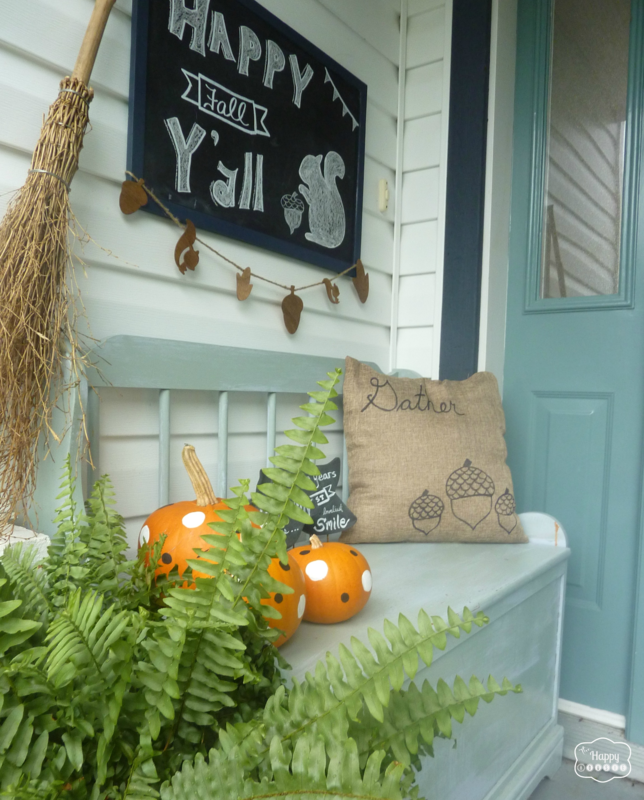 Adding some chalkboard fun to the front porch was super easy. 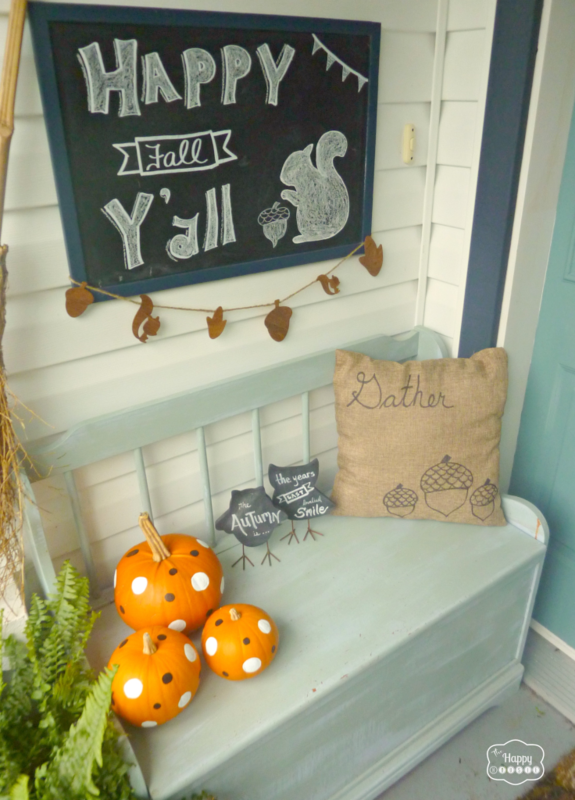 I did it in two ways: through some chalkboard art on my permanent porch chalkboard. 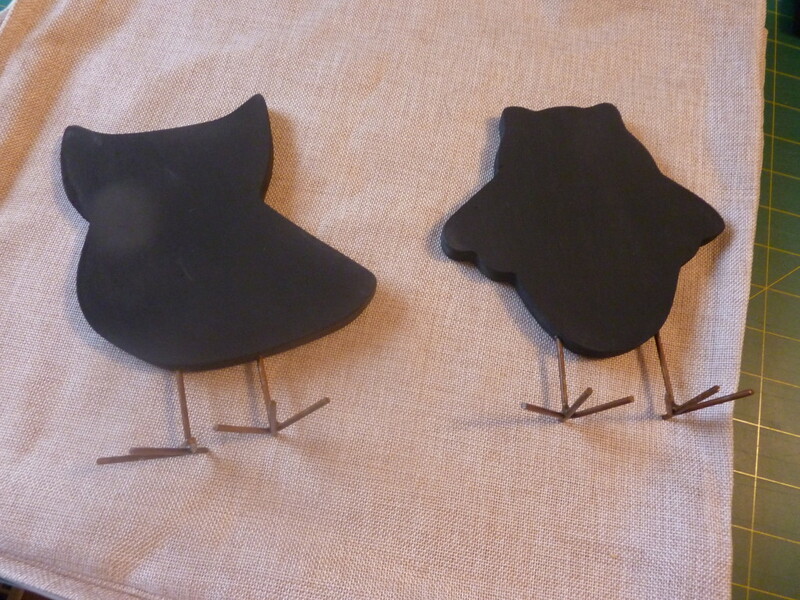 And through these little mini owl chalkboards that I made from some wooden owl shapes I picked up at Michaels. 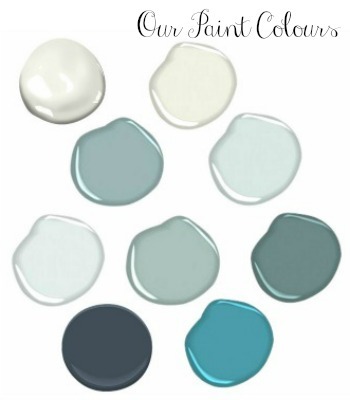 I gave them a quick few coats of my homemade chalkboard paint (basically mix plaster of paris 1:1 with warm water until COMPLETELY dissolved – I use a blender) then add to paint – 1 cup paint to 1/2 cup plaster mixed with 1/2 cup water. 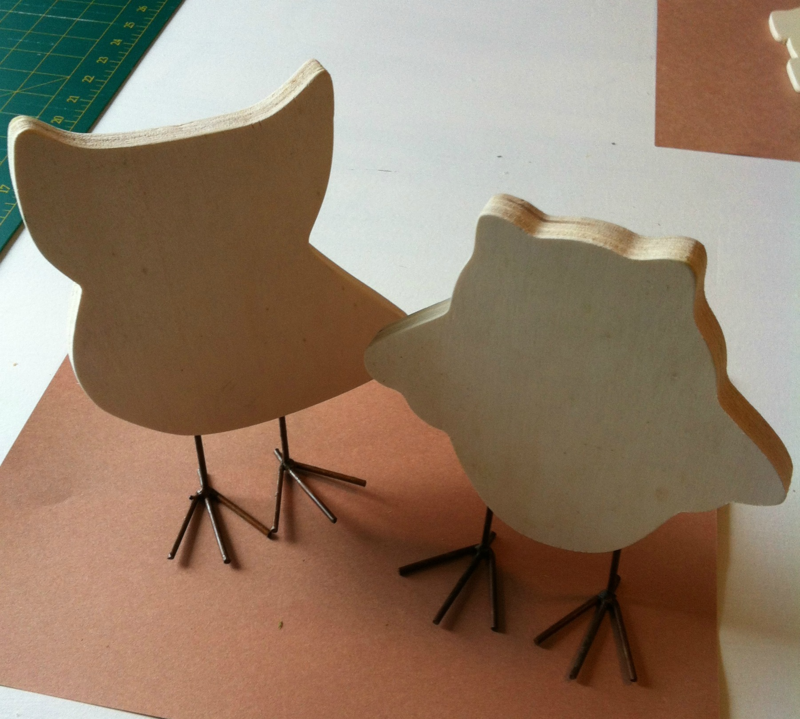 I used a smaller amount and kept the proportions the same and used black CRAFT PAINT to make mine… see here for more info. Then just add a cute quote…. 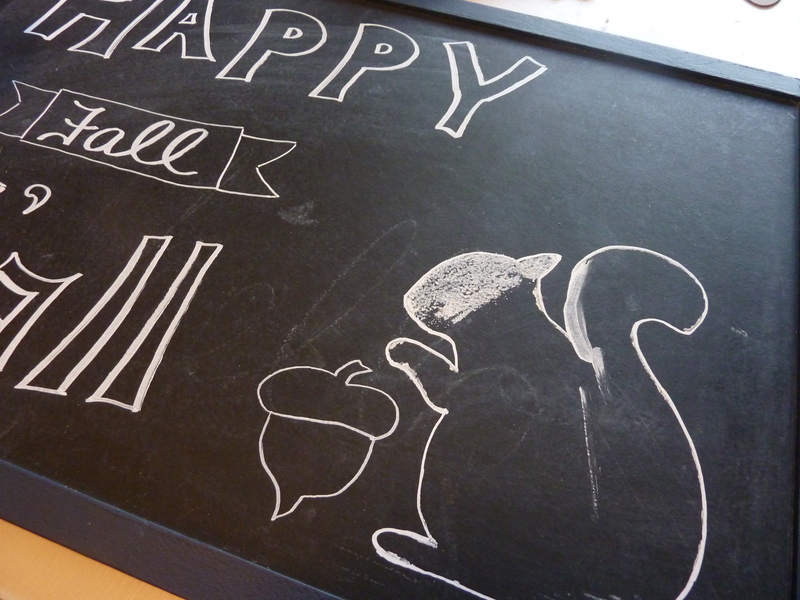 Now for the chalkboard art hanging on the wall… my biggest tip is to use a CHALK PEN! I bought a couple the other day at Michaels and I. LOVE. IT. Seriously. Love. It was one of my best craft purchases maybe ever. And then to vary up the texture a little I used regular ol’chalk to fill it all in…. To be honest I just free handed the font… but just google chalkboard images and then play around with sketching on some scrap paper – remember, it is only chalk. This is not brain surgery we are talking about. You can always erase it if you aren’t satisfied! Go for it…. If you are curious about that ridiculously adorable fall pillow that is REVERSIBLE (yes, I did just say reversible) for the two parts of our lovely fall season… you can check out my tutorial for it today over at Maison de Pax. 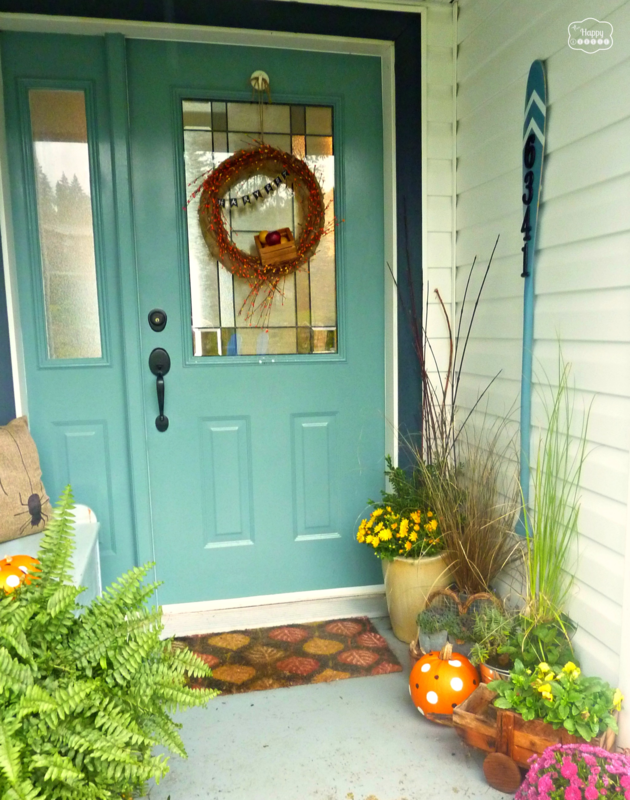 Now to fall-ify the rest of the porch I simply added some fall plants like mums (tip: wrap their plastic pots in some burlap and tie it on with twine to give it a more natural look) and some fun polka dotted pumpkins. 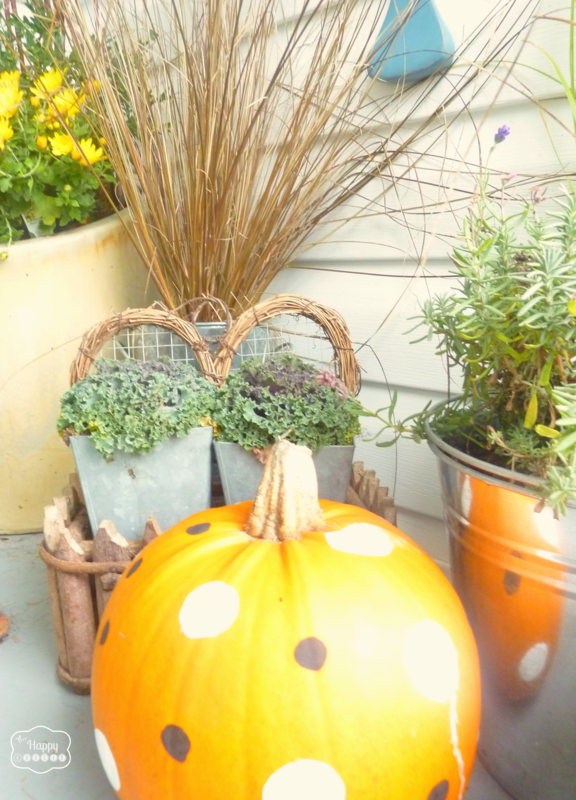 I picked up the pumpkins at our local farm market and dressed them up with some simple black and white polka dots using craft paint (I keep these ones under cover…. not sure what our torrential rains would do to the craft paint). 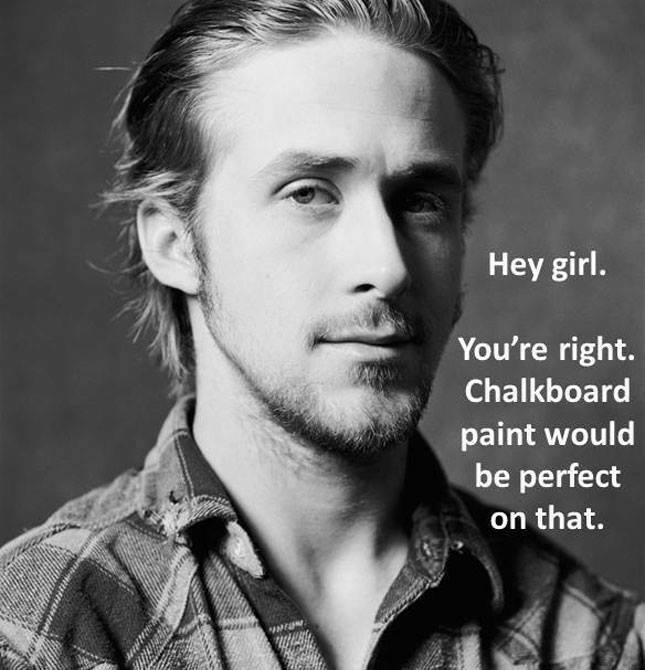 You know, a little chalkboard paint just makes everything better. If you don’t believe me, just ask Ryan. 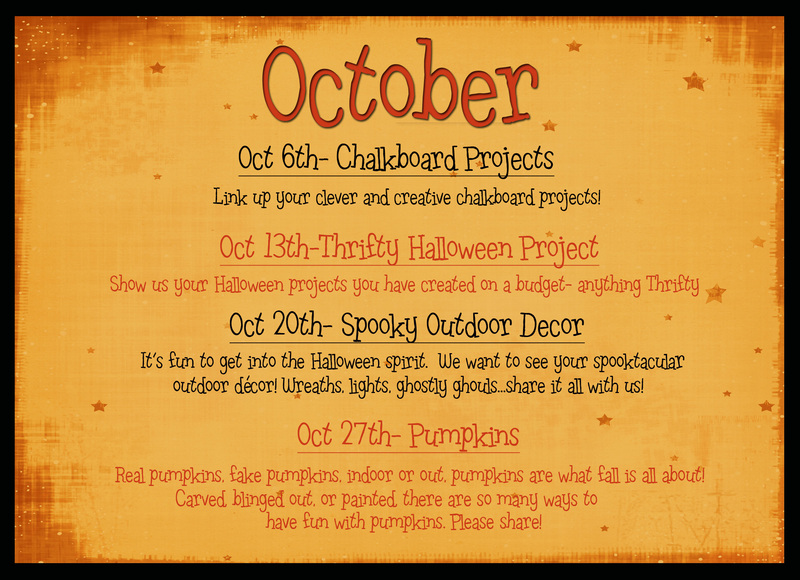 And don’t forget to come back on Sunday and link up for the Get Your DIY On: Chalkboard Projects Challenge!! 4pm PST or 7pm EST. Hope to see y’all here! 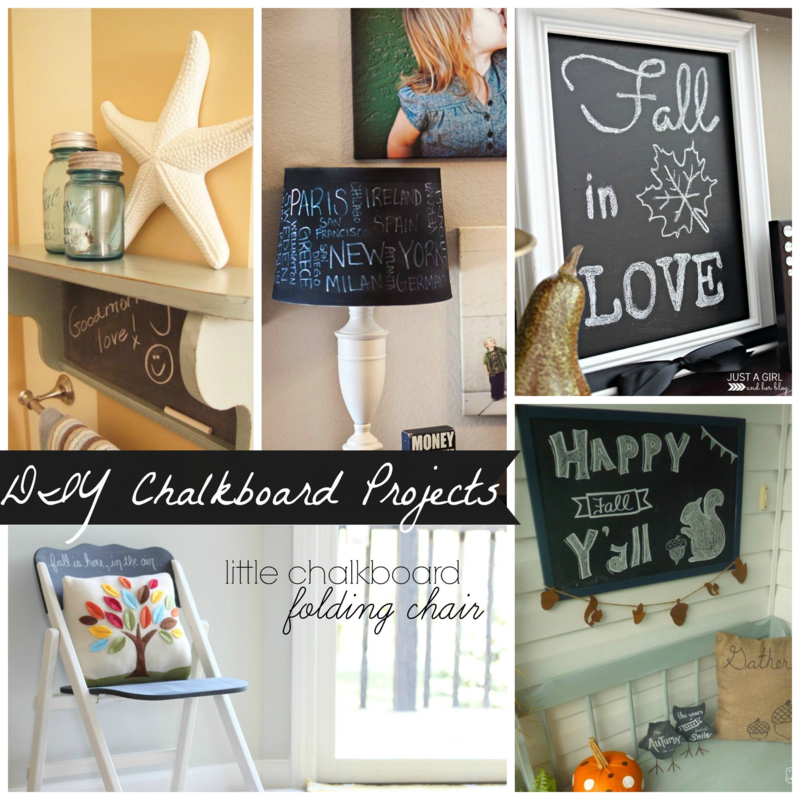 I can’t wait to see what YOU can do with a chalkboard! 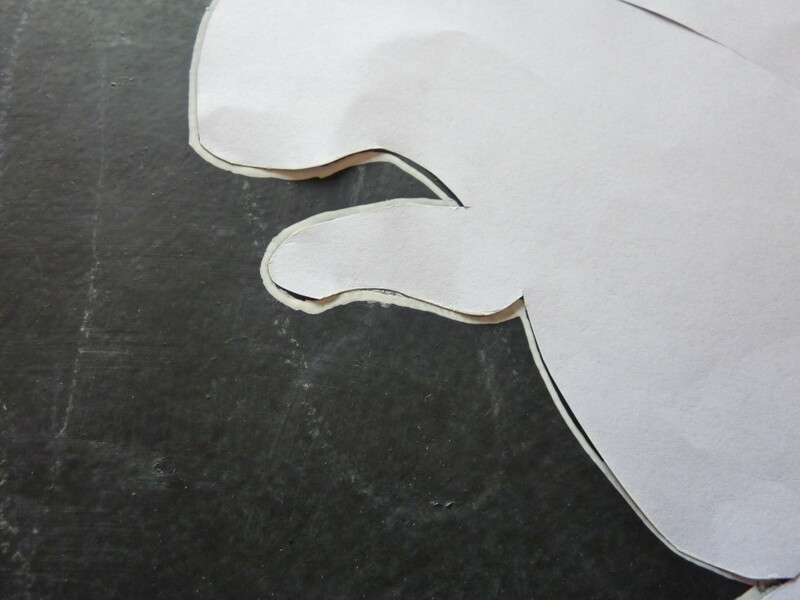 OR what you can TURN INTO a chalkboard! Ready to be inspired…. I love your chalkboard sign and Fall message! So so cute. And the little owls are adorable as well. You have such a pretty porch! Thanks so much for sharing the inspiration. Wonderful space! So happy and fun! The chalkboard owls are especially genius! This is adorable, Krista. Every. Little. Thing. is too cute! 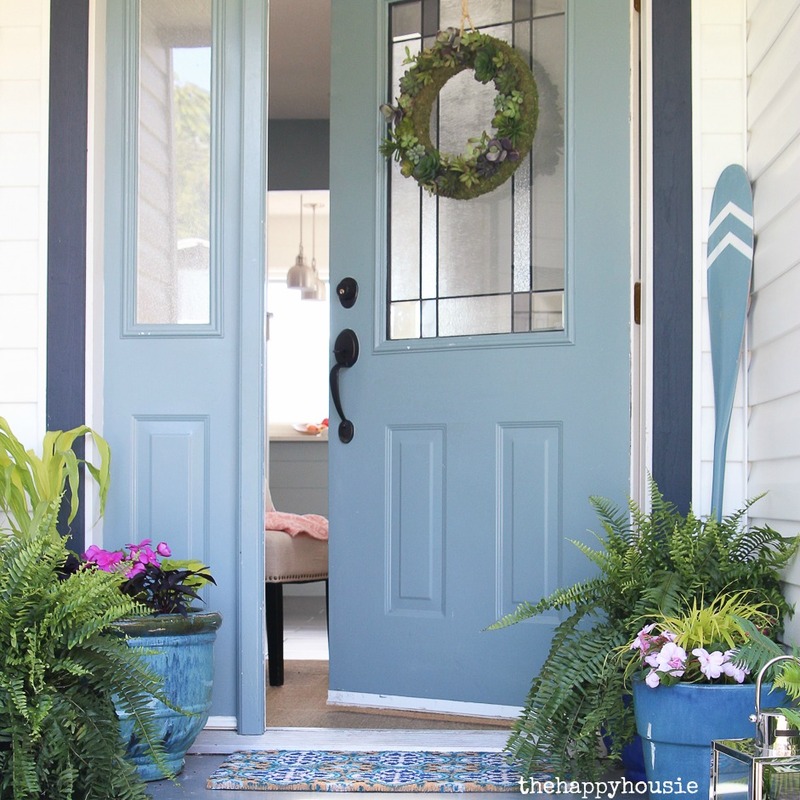 I really love your turquoise door, though. Obviously. 🙂 Hope you’re having a great weekend!! Love it!! Where did you find the wreath?? 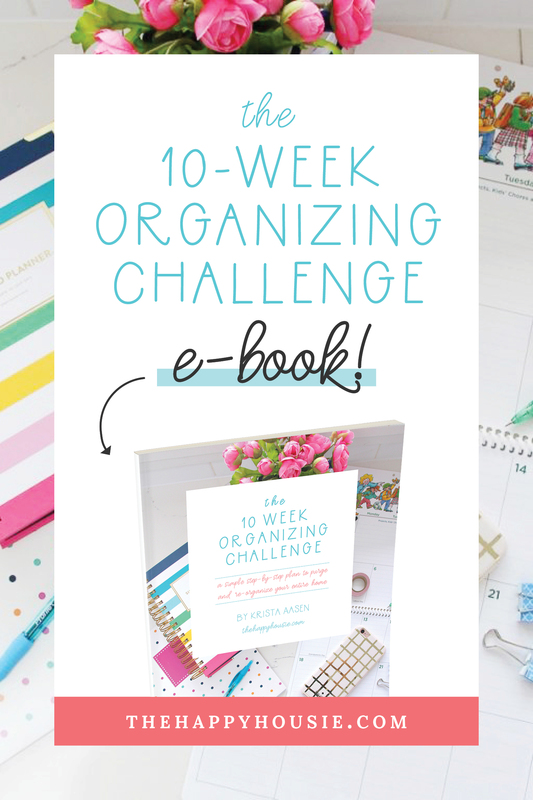 Or did you make it – it’s so cute! Hi Krysta! Sorry I am sooo far behind on responding to this. I made the wreath! I have a simple tutorial for it on the blog:) Thanks for your visit and comments! Such a beautiful fall porch! Thank you for linking up. Thank you so much Rita, and thank you for hosting!! Thank you Danielle!! I will hop over for sure!! 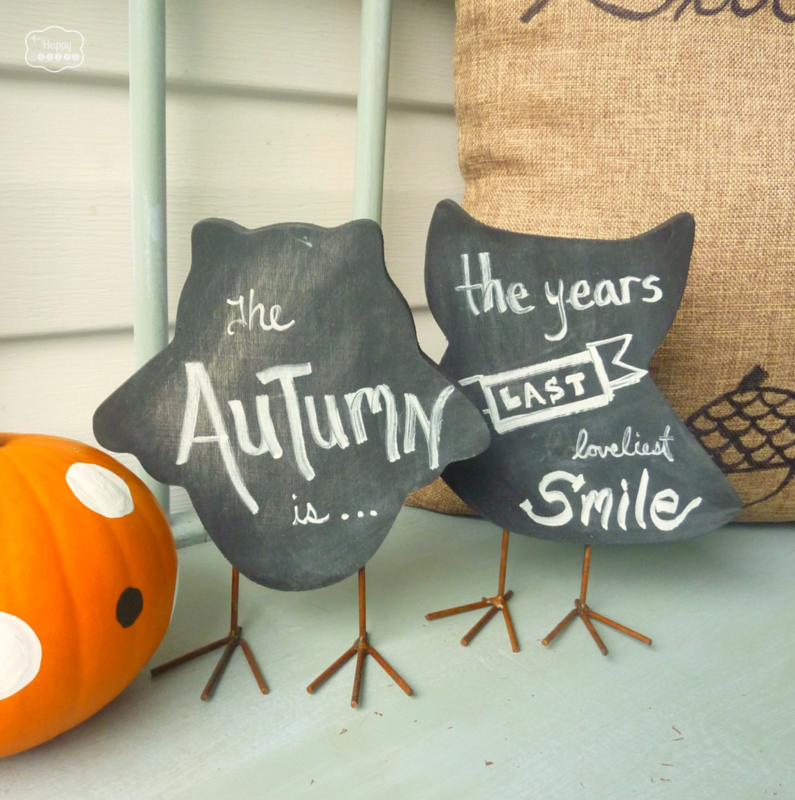 Absolutely adorable decorations…I love the chalkboard owls! SO cute! 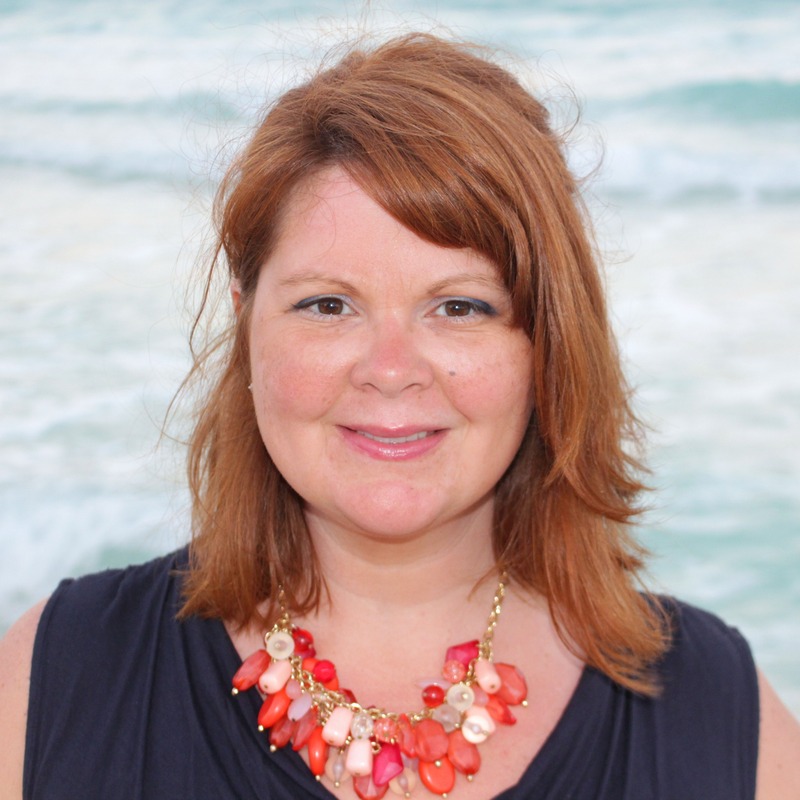 This would be great to link to Create It Thursday #23…it’s live now! Hope to see you there! Super cute!! If I love anything it’s decorating for fall!! You share some really great ideas. I love your porch! Thank you! Thank you Leah!! So thrilled you came to visit and thanks for your sweet comments!! LOL – he always knows what he is talkin’ about! How beautiful, Krista! Those cute little owls are my favorite– totally adorable! Hope you’re having a wonderful week, my friend! Thank you Abby!! I am glad the owls turned out to be cute… there is always a moment when you wonder if you are crossing the line to tacky:) Lol. Have a great week too my friend!! I am loving your little chalkboard owls. I have have a bird just like this that I have still hanging around so tomorrow it get the chalkboard treatment just like your owls. 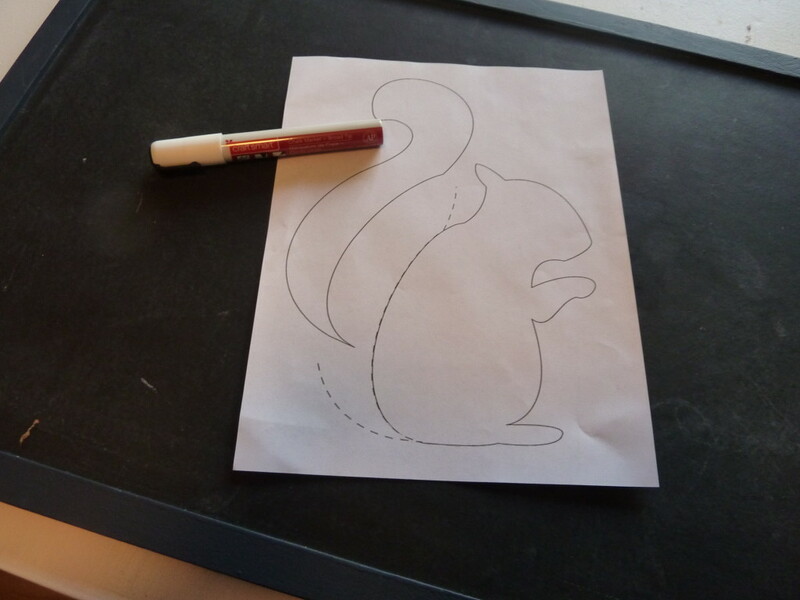 I am loving the squirrel on your chalkboard almost as much as the owls, what a great tip. This is my first tip visiting your blog (via That DIY Showoff) but I will be back. How lovely! The chalkboard birds are my favorite! Thank you Dianna – they add a cute little touch I hope:) Thanks so much for your visit and kind comments!! Adorable and what a super sweet porch! LOVE it! Thank you Bonnie and Trish!! So thrilled you came by to visit me! Krista! Everything looks so pretty! 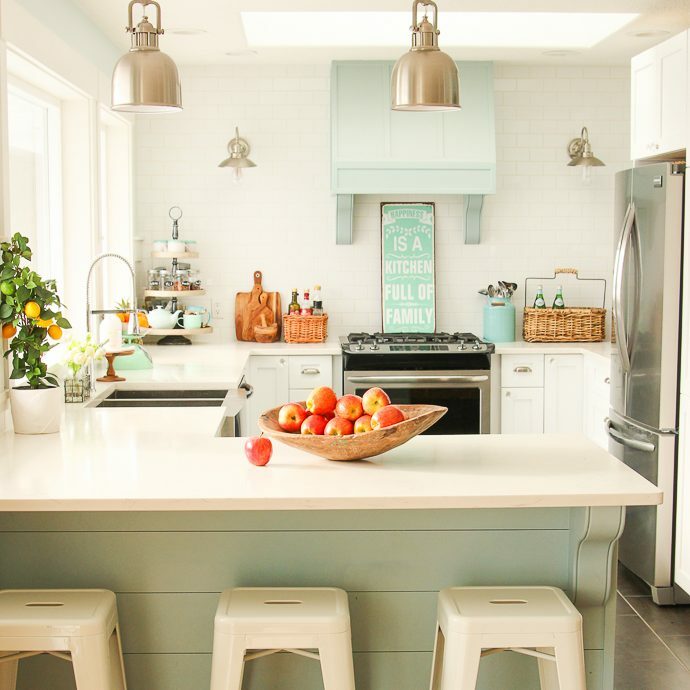 I love the all the chalkboards and polka dots! You are talking my language! Thank you so much KariAnne!! I am sooo thrilled and excited that you came by to visit:) Hope you are having a wonderful week so far!! 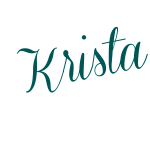 I love it all Krista! Especially the owls! LOl, they say imitation is the highest form of flattery!! Thanks so much for your visit and kind comments!! Hi Krista! 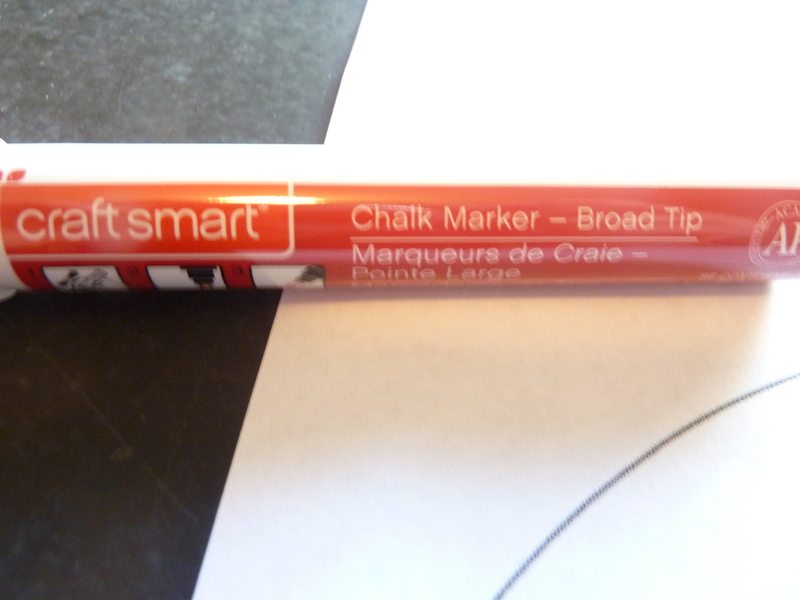 I just recently discovered chalk pens too, and you’re right…they’re great!! I also love your tip about wrapping the plastic pots in burlap. It’s the little things that make the biggest difference. 🙂 Love your porch! I agree Lisa… it wouldn’t look quite the same with plastic pots sitting on the steps:) All in the details! So cute!!! I love it all!!! Thank you Leah!! So thrilled you came by! 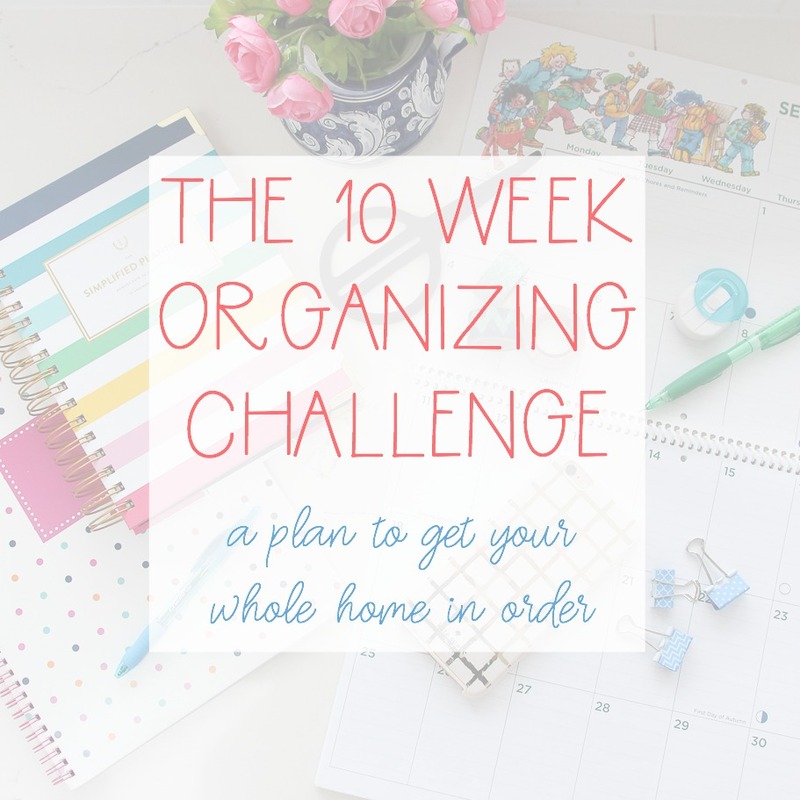 You’ve made the cutest entryway to your home! Love those polka dot pumpkins! Thanks Mary! A quick easy dress-up for the pumpkins! Have a great weekend!! Aw thank you so much Cindy!! You are too sweet!! See you tonight at your party!